Pomegranates easily tolerate periodic frosts. Topdress the root zone with a balanced organic fertiliser each spring, and mulch with well-rotted organic matter year round. Coreopsis, Lavender, Cosmos, Zinnia and Nasturtium. Set out plants in winter when dormant. 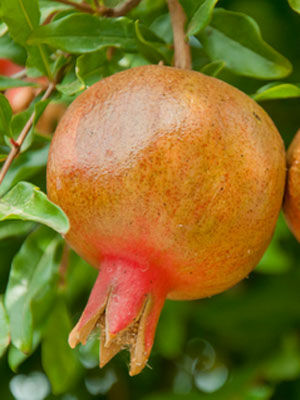 Pomegranate fruit split when ripe so pay close attention to them in wet weather and pick them to prevent them spoiling. Fruits are ripe when the skin becomes dull, ripe fruits also have a habit of splitting open.